So as you saw last week Christmas has come to The Walters residence. 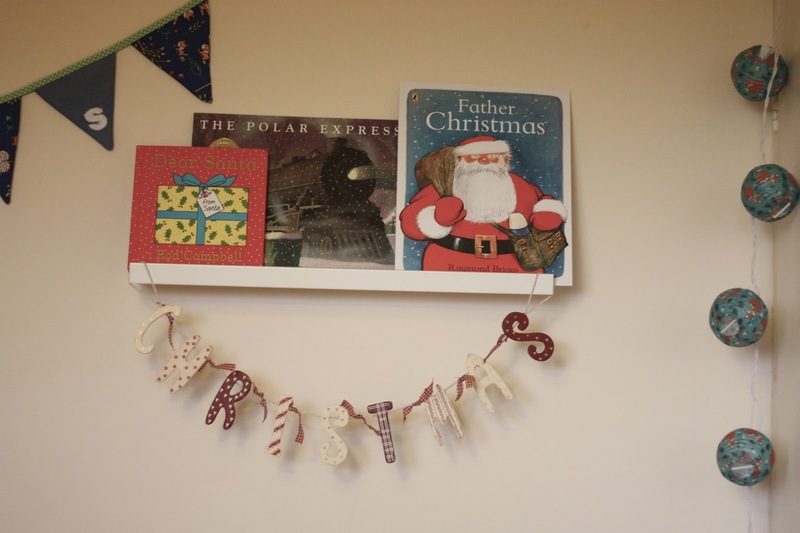 Well, after putting it off due to pure laziness on my behalf, I put up Lucas' christmas decs. 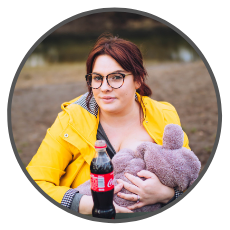 His are very minimal, but cute. 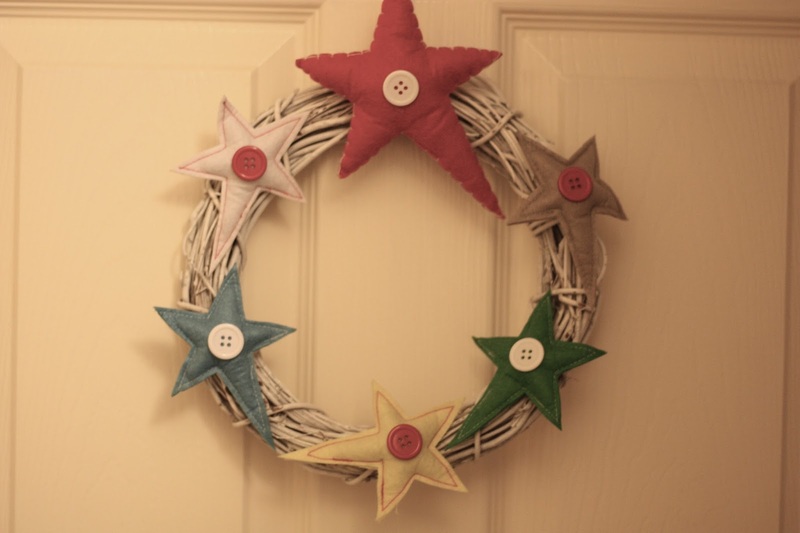 Firstly we have this gorgeous wreath (I spelt it reef, embarrassingly, in the last post, as i am uneducated, haha) and its from John Lewis, I purchased it in their christmas sale part, it's "so" last year, and was a 2014 dec, but what does that matter. 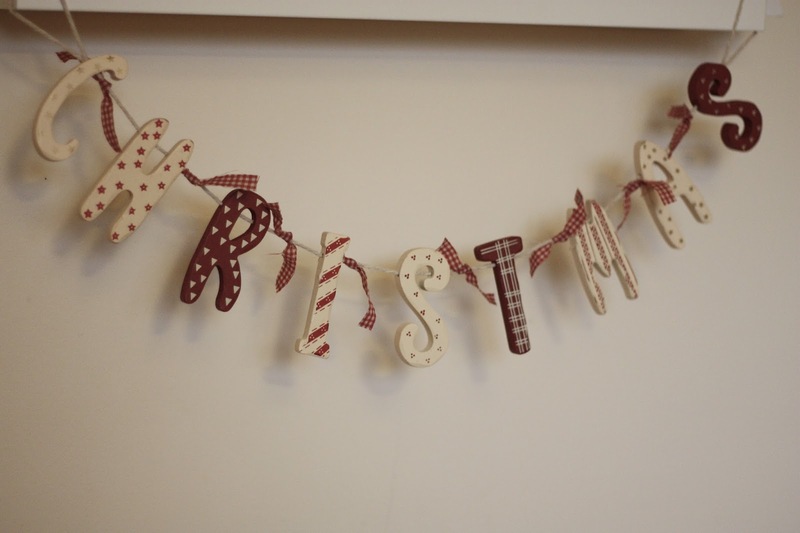 He has this adorable CHRISTMAS, bunting, ours was purchased from a company called dotcomgiftshop.com but you can purchase the exact same one from MollieandFred for £5.99. This hangs off his shelf from Ikea, which they seem to no longer sell in white, but it comes in a light wood colour, and could be painted white easily. 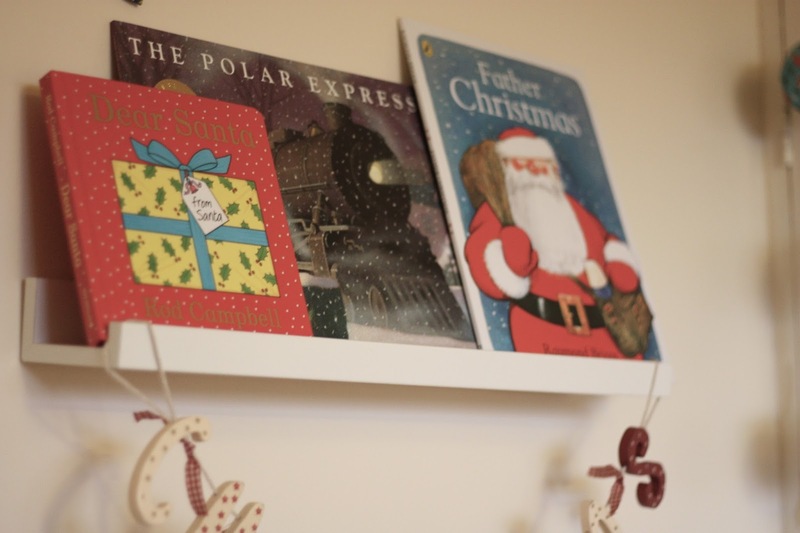 His shelf includes 3 books... ALL amazing christmas books. The polar express, my all time favourite christmas eve film. It's such an adorable film, and the book, is just as amazing. we love it and I can't wait until Lucas can sit still long enough, to read more than 3 pages. Next year, he will totally appreciate this book. This is a collectable item for me anyway. We won this book in a competition hosted by the wonderful @jlaac on instagram. 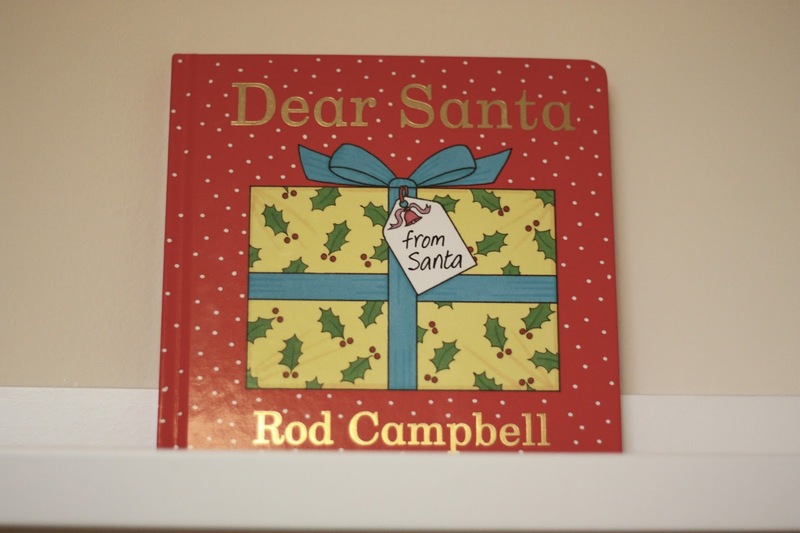 We love it, it's a christmas version of dear zoo, and the lift the flaps are so cute, i am not too sure I agree with giving children pets for christmas, like the book states, but it's a wonderful christmas book, Lucas will sit through this one too. 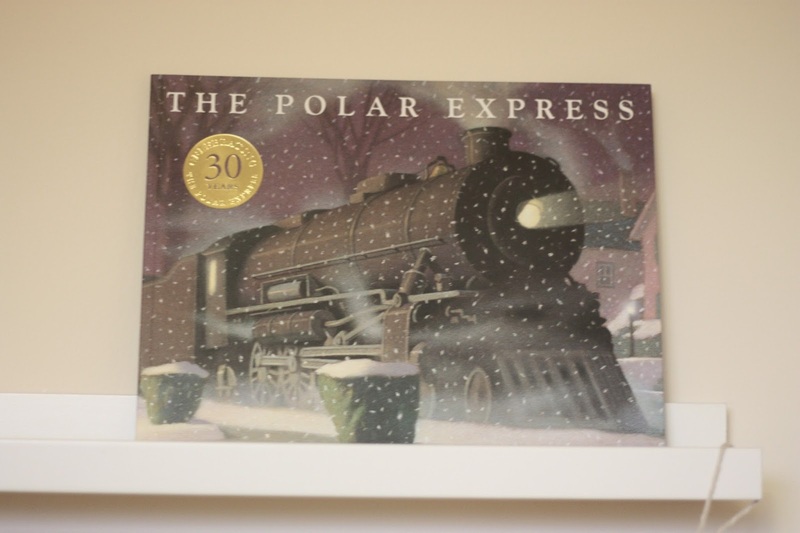 This is another book like "the polar express" in that we can't get all the way through it, but the point in his shelf is decoration, and he has a HUGE hamper full of books in his book corner, including christmas books, and non christmas books, which we read. This book has the most beautiful illustrations, and to me is another collectable, classic book. 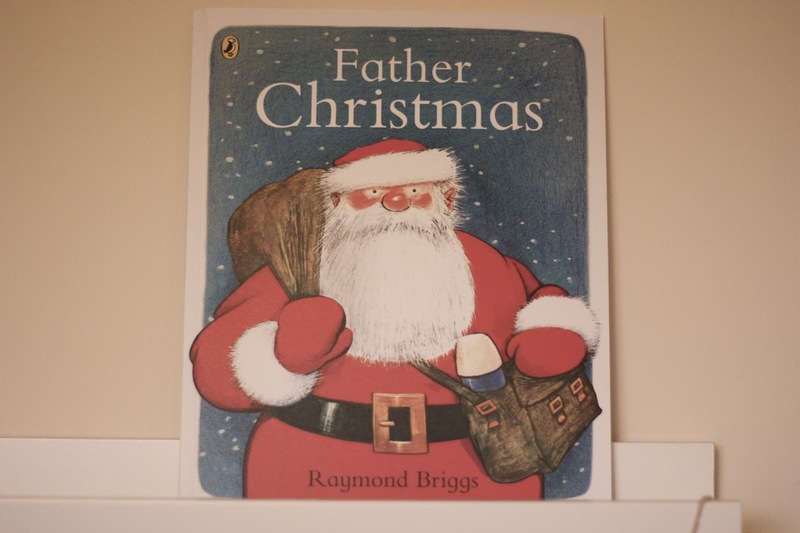 Raymond Briggs writes the most beautiful stories and we love them. 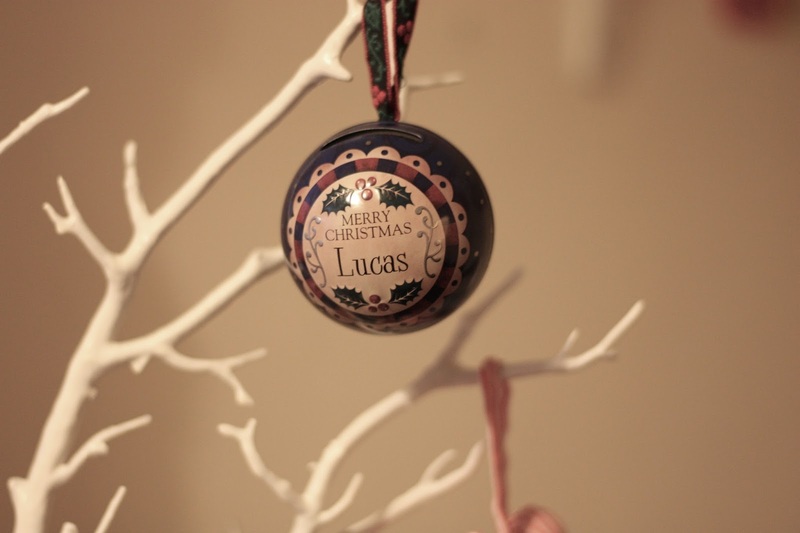 Finally we decorated Lucas' white tree with lots of little christmas baubles, but with these extra special items too. Little booties, and a bauble he got last year. 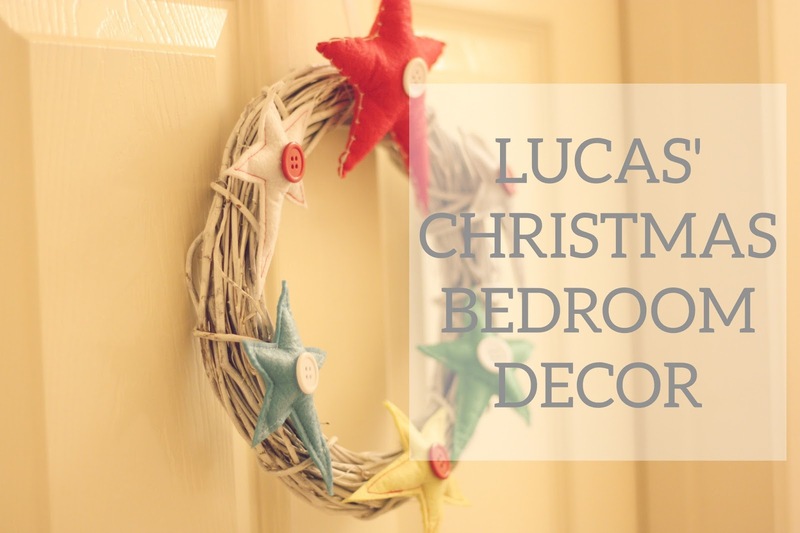 His bedroom is decorated subtly as downstairs is really decorated beautifully, but it adds a cute little christmas touch to his room, and we're so excited. 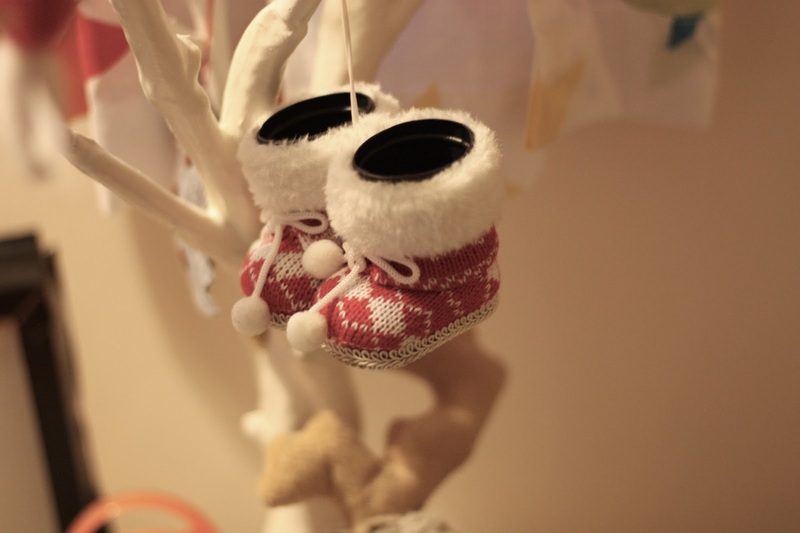 How have you decorated your little ones rooms?